One of the methods used by search engines, notably Google, to determine the relevance or importance of a page, is its page rank. The search engine gets more than 63,000 search queries every second, with the top three search results getting more than 50 percent of website traffic. While most website owners would love that their pages rank at the top, it is essential to keep up with Google’s Search ranking algorithm changes, to ensure you leverage every factor possible for your content to get a piece of the page ranking pie. However, there are some common practices used on some websites that can affect their page rankings badly. If you’ve been wondering why your pages aren’t ranking for the main keywords, despite your efforts, and even having followed all the rules of SEO, this post is for you. We’ve compiled a list of practices that badly affect your page rankings, some smaller technical things that you probably never noticed, but are hurting your site. Every site has to deal with comment spam or bad comments. These do more than just pollute posts on your website, as they can hurt its ability to rank, whether or not the links in such comments are followed. But how does this affect page rankings badly? Well, Google factors in where your site links to as a strong indicator of the kind of website yours is, and how qualified it is to receive more traffic. So whether or not these links were placed intentionally by you or others, they have a strong (negative) impact on your page ranking and site authority. Bad or spammy comments are a popular black hat method of attacking sites by linking it to several spammy sites to discredit its messaging or the brand itself. A combination of low-quality links plus dangerous spam-associated keywords may cause Google algorithms to consider it a suspicious site. How to fix this: Don’t approve every comment posted on your site, except those that add real value to your customers. This ensures you keep comment value and your site’s integrity. 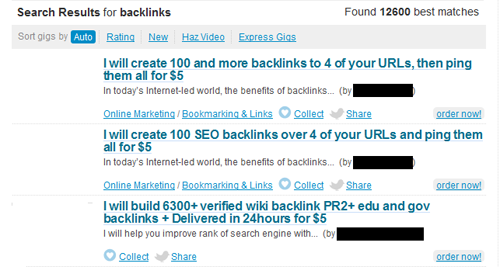 Backlinking is an important ranking factor for Google. However, over time, Google has learned to weed out bad links from good ones, such that pages with backlinks from diverse and authoritative domains get a higher ranking score. While there are thousands of services and sites that want you to pay to get others to link to you, this practice may actually not be good for your site. What sites will be linked to yours? Are these sites related to your industry? If Google discovers that you’re buying backlinks, it can de-index your site from its search results, so although this may be good for SEO, it has a potential of getting your site blacklisted, and you out of business as your site won’t appear on any search results. How to fix this: Stop paying for links, and don’t be involved in such networks or those that help you spread your articles across several different sites. Create quality content that people crave, and promote it relentlessly. This way, other authorities in your industry will link to your site, and Google will consider your content more relevant and reward you with good page rankings. As you create website content, make sure what you publish is relevant to your brand, business, customers, and industry. Let Google see your site as credible in your own market or niche, and not someone else’s. So for example, if you’re in building and construction, it wouldn’t make sense writing content about hotels or food and the like. Google places a high value on user experience so it will reward sites that prove this to their readers and/or customers. How to fix this: Keep the needs of your customer in mind, plus your own business goals and objectives. Make sure the keywords you use are related to your industry and what you write about and publish as much useful content as would be needed by your target customer. This way, you’ll get ranked for key terms and Google sees your site as an authority in that topic, besides being the right business to buy from. Anchor text links are a rich source of good page ranking. Ideally, you want sites to link to you with phrases that are relevant, instead of linking using your company name. As more sites link to you with the phrases, terms, or keywords you’d like to rank for as the anchor text of the link, your page ranking will be impacted positively and your site skyrockets for that term. 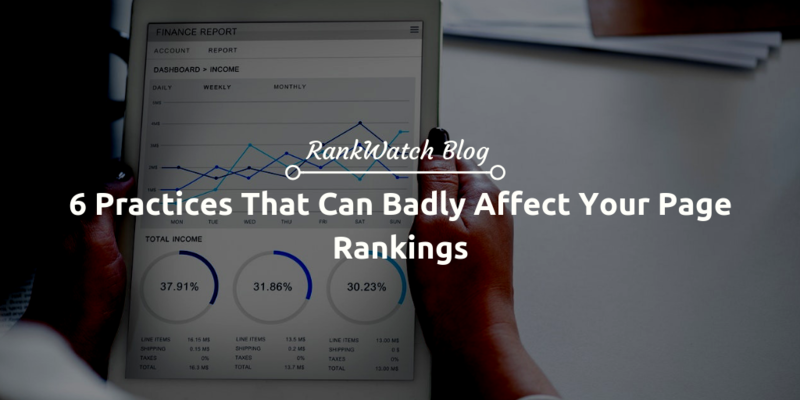 However, these too can be abused and end up affecting your site’s rankings badly especially when they’re overused, so it has to have a natural flow to avoid drastic drops in page ranking. How to fix this: Try and keep anchor text rich for not more than 10 percent of your links. The keyword ratio should appear normal and natural so that it doesn’t look strange to Google. Ultimately, you want to build anchor text links not for search engines, but for customers and user intent. The speed of your site is one of Google’s top page ranking signals, especially the time it takes for web visitors’ browsers to get the first byte from your server. This not only affects page ranking, but also user experience as people shun pages with longer load times, leading to lower average time on page, higher bounce rates, and impacts conversions negatively. Some of the things that may slow down your page speed include your host, images (too big), externally embedded videos, and inefficient HTML/CSS code (or they’re too dense). How to fix this: First, test your web pages. 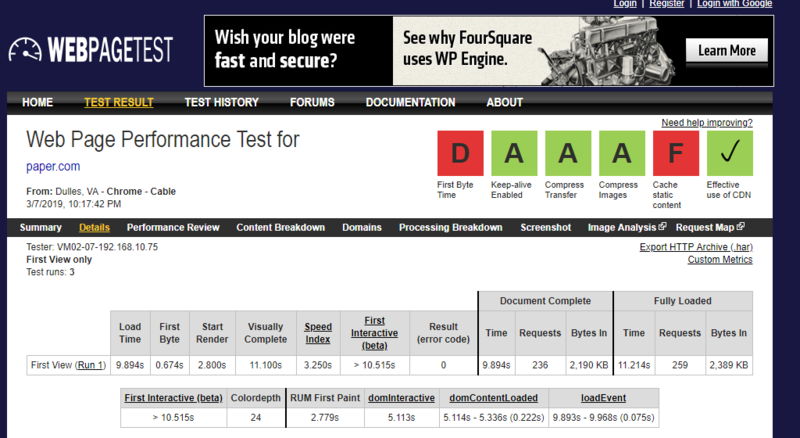 There are several tools you can use to perform web page tests, and get a breakdown of your page and total site load times, plus insights as to what may be slowing your site down. Check that your images are under 100kB and are progressive to keep download times. 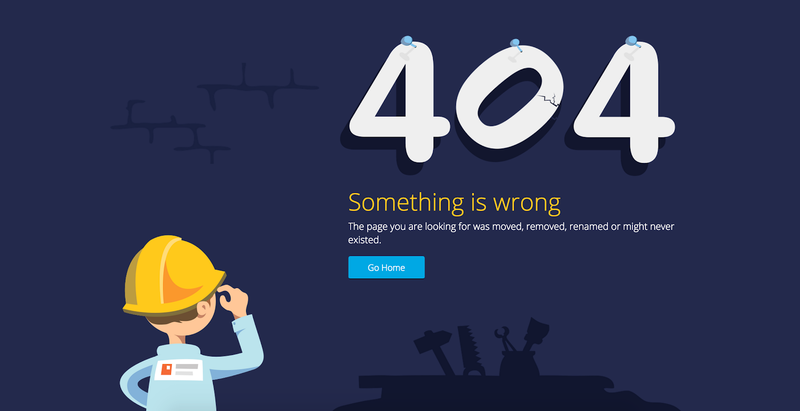 There’s nothing worse than following a link to or from a site, and it leads to a 404 error or different content from what was expected. Your website visitors follow links expecting to get what you promise them to once they land on that page. This hurts your page ranks and is bad for user experience. How to fix this: Check your site for broken links at least once a week (large sites) or once a month (if you have fewer external links on your site). Check your bounce rates, conversion rates, and traffic for any noticeable changes that may indicate problems, most of which may be related to broken links on your site. You can also use a website link checker. SEO is an ongoing process, so as you shape your strategy this year, address such common mistakes and pay attention to technical SEO to improve page rankings. We spend years and years in ranking our site. Don’t let these frivolous practices let down your efforts. Fix it now. It’s your bread and butter!